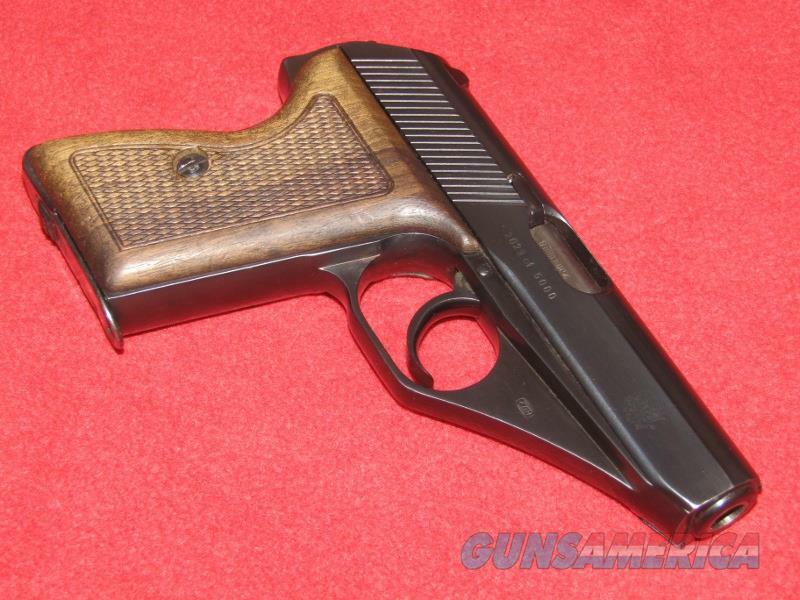 Description: Up for sale is a used Interarms Mauser HSC American Eagle Edition Pistol (.380 ACP). This item has a 3 ¼ barrel with a shiny bore and checkered wood stocks. The blueing shows some light wear and a few light scratches in the finish. The wood stocks show wear in the checkering as well as the finish. Comes with one magazine. These were a limited run of pistols consisting of only 5000 units.